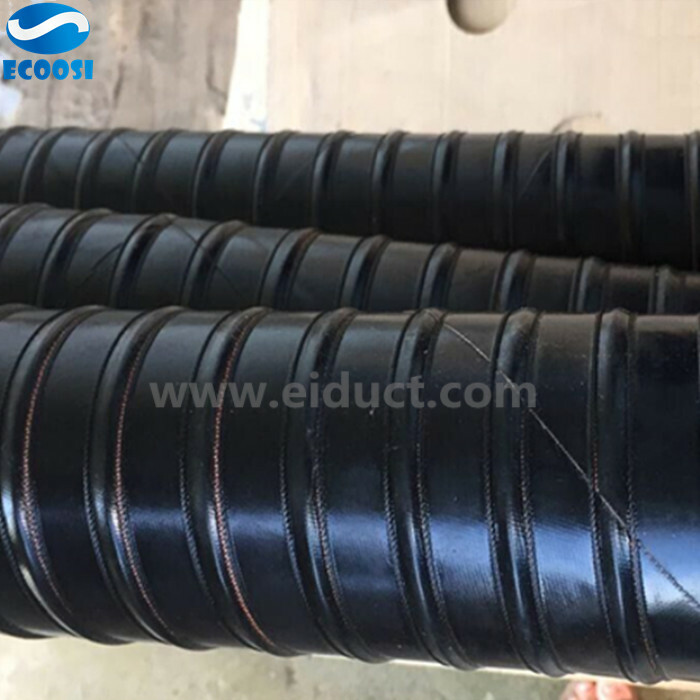 Ecoosi flexible ducting hose - High Temperature Black Silicone Brake Air Duct Hose is a high temperature duct hose suited for a variety of applications such as hot air and fumes. 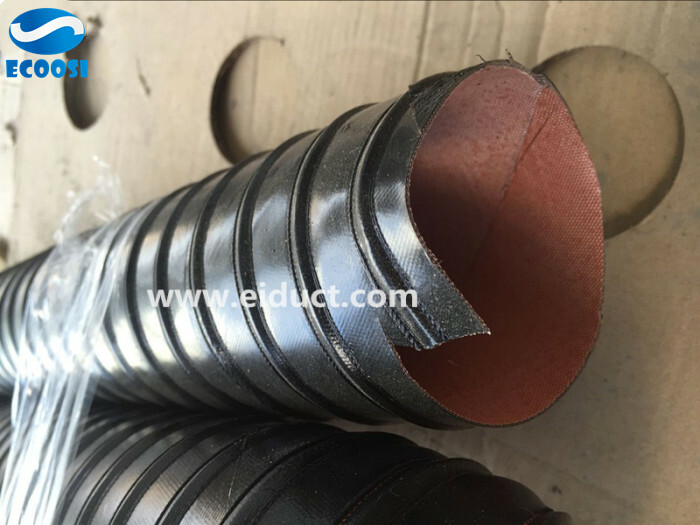 This air duct hose consists of 2Ply silicone coated fiberglass reinforced with a spring steel wire helix & external filament fiberglass cord. 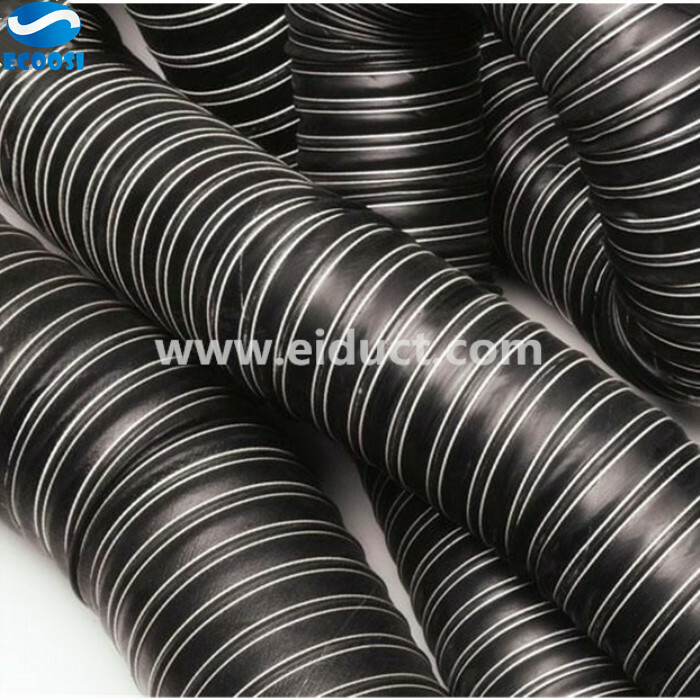 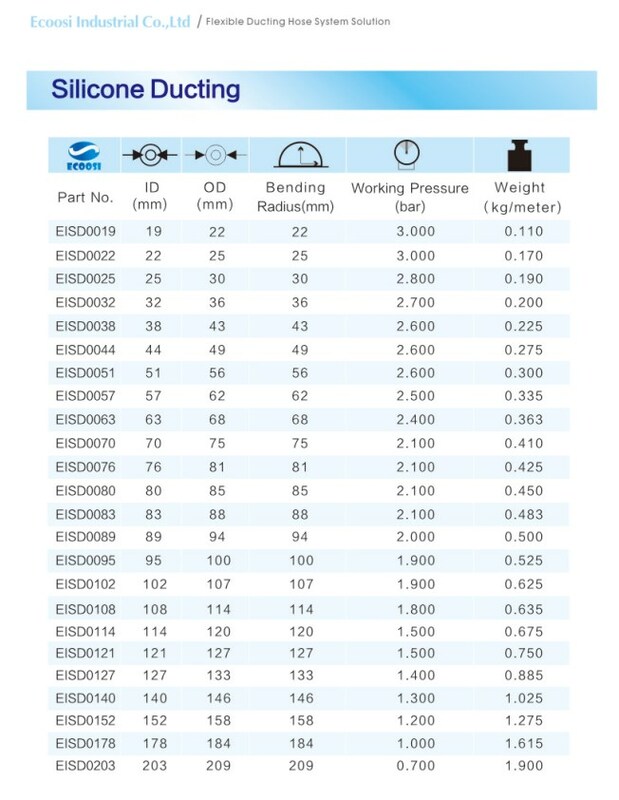 This black silicone brake duct hose allows the high temperature duct to be suited for high temp air handling applications that are ideal for plastic processing operations. 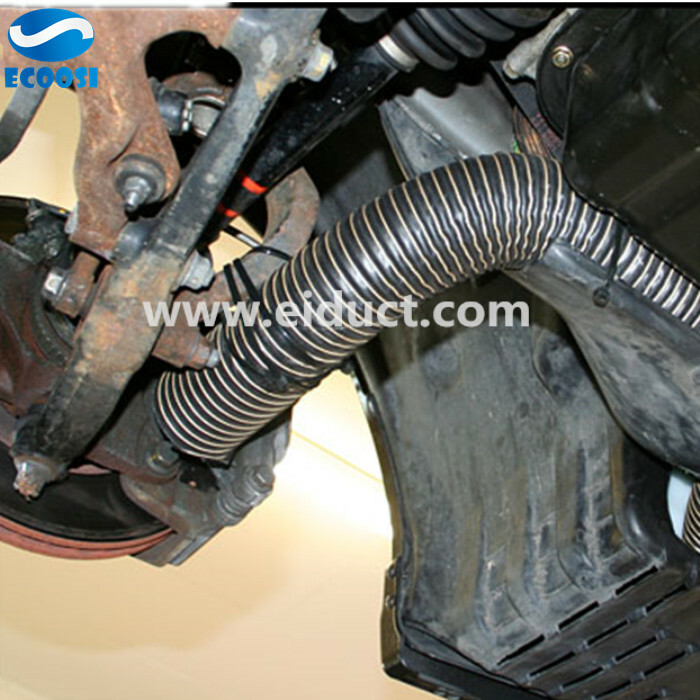 The Ecoosi's high temperature black silicone brake air duct hose is also a flexible air duct hose that has a narrow pitch for flexible venting. 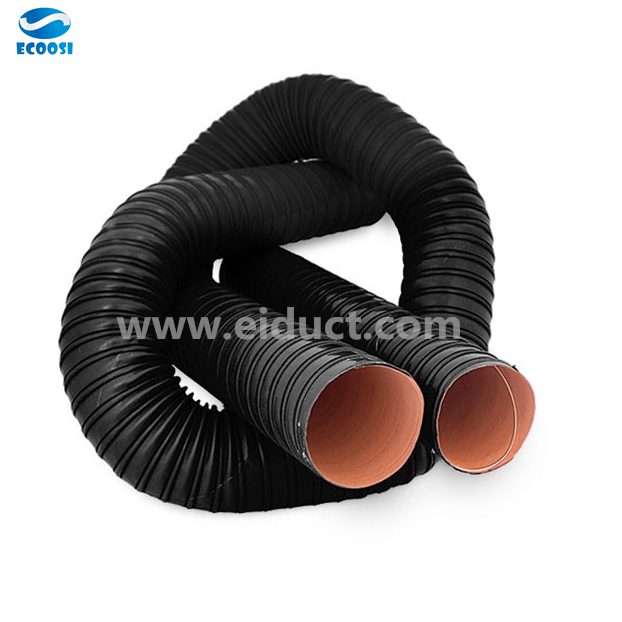 This black silicone brake air duct hose allows the hose to offer a tight bending radius that is non-kinking while maintaining a smooth airflow.